А linguistics professor of the Institute of Slavic Studies of the University of Vienna, professor of Ukrainian Free University in Munich and PázmányPéter Catholic University in Budapest and Piliscsaba. Laureate in the nomination “For significant achievements in the field of Social and Humanitarian Sciences” -Academician Oleh Shabliy. 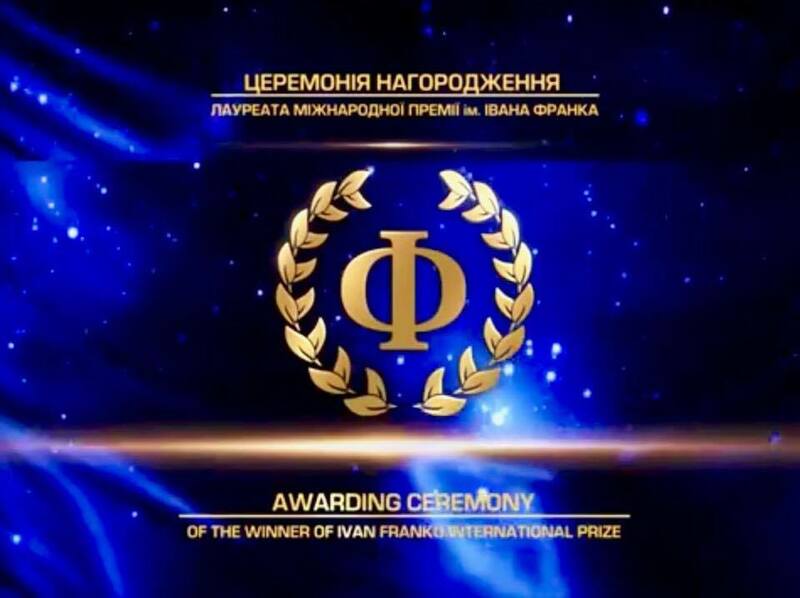 Doctor of Geographic Sciences (1978), distinguished professor of Ivan Franko National University of Lviv – head of the department of economic and social geography, honoured master of sciences and engineering (2016), member of the Higher School Academy of Sciences of Ukraine and Ecology Academy of Ukraine, head of the geographic committee of Shevchenko Scientific Society, honourable member of Ukrainian Geographical Society, guest professor of the Ukrainian Free University in Munich (Germany). He was born in 1969 in Linz, Austria. He is a linguistics professor at the Institute of Slavic Studies of the University of Vienna, professor at Ukrainian Free University in Munich and Pázmány Péter Catholic University in Budapest and Piliscsaba. 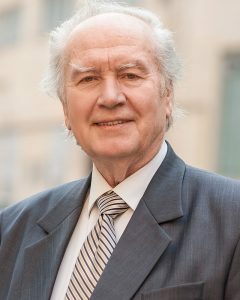 He is an active member of Shevchenko Scientific Society in Lviv and president of the International Association of Ukrainists (since 2013), Doctor Honoris Causa of Taras Shevchenko National University of Kyiv (since 2017). He authored a range of scientific works in the realm of Slavic linguistics and historical grammar of the Ukrainian language. Research interests: internal and external history of Slavic languages from the onset till nowadays. 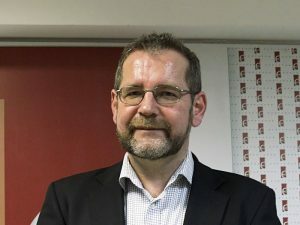 He studied at the University of Vienna, which he graduated from in 1991 and became a research staff member at the Slavic Studies Department of this University. In 1994 he finished his Ph.D. dissertation and in 1998 he accomplished habilitation. In 1998 he became a professor of the University of Vienna. In 2005-2006 he was Harvard University fellow. In 2009 he became a professor of Ukrainian Free University in Munich, in 2011-2013 he held the position of a dean at the Philosophy Faculty of this institution. Since 2014 he has been working as a professor at Pázmány Péter Catholic University in Budapest and Piliscsaba. Since 2011 he is an active member of Shevchenko Scientific Society in Lviv. In 2013 he was chosen President of the International Association of Ukrainists. From 2014 till 2016 he held a position of director of the Institute of Slavic Studies of the University of Vienna. In 2017 he was given the title of Doctor Honoris Causa of Taras Shevchenko National University of Kyiv. Michael Mozer is a member of publishing boards and editorial boards of a range of scientific magazines, among them – Studia Slavica Academiae Scientiarum Hungaricae (Budapest, Hungary), Slavia Orientalis (Warsaw, Poland), Dialectological Workshops (Lviv, Ukraine), “Ukraina Moderna” (“Modern Ukraine”) (Kyiv, Ukraine), Nationalisms Across the Globe (St. Andrews, Scotland; Warsaw, Poland), «Encyklopediya Ukrainy» (Internet Encyclopaedia of Ukraine, Canada), “Ukrainske Movoznastvo” (“Ukrainian linguistics”) ( the Philology Institute, Taras Shevchenko National University of Kyiv). He is also a publisher of editorial series Slavische Sprachgeschichte. Michael Mozer is an author of 10 monographies and around 300 scientific works on the issues of Slavic linguistics. 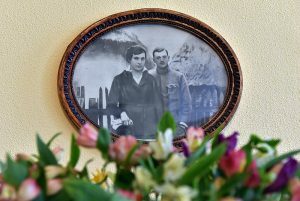 He was born on November 14, 1935 in the village of Kurivtsi, Zboriv District, Ternopil Region. He finished Berezhany Pedagogic Vocational School (1954). In five years (1959), he graduated from the geographical faculty of Ivan Franko National University of Lviv. He defended a Ph.D. thesis (1966) and a doctoral thesis (1978). The topic of his Ph.D. thesis was “Forest Industry Complex of Ukrainian Carpathians: Trends of Development and Structure”, the topic of his doctoral thesis was “Intersectoral Territorial Complexes: Problems of Theory and Methodology of Research”. Areas of scientific research: theory, history, methodology, and methods of human geography and cartography; geographical Ukrainian Studies and Regional Studies; complex atlas mapping; geographic and mathematical modelling. He has published over 550 scientific works, among which: about 50 monographies, textbooks, atlases, manuals, conference materials, etc. He produced and explored the idea of flexible territorial organization of production, the principle of unstrict entry of territorial systems into their supersystems and geospatial organization of population, the concept of intersectoral territorial complexes. He also created original classification schemes of social, geographic, and ecologic scientific disciplines, natural resources potential, made a hypothesis of aridization of the Western region of Ukraine, grounded hexatomic social and geographic regionalization of Ukraine, etc. He organized preparation and publishing of school regional national history and geographic atlases of Lviv, Ivano-Frankivsk, and Zakarpattia regions of Ukraine. 21 candidate and five doctor dissertations have been defended under Oleh Shabliy’s supervision and consultation.